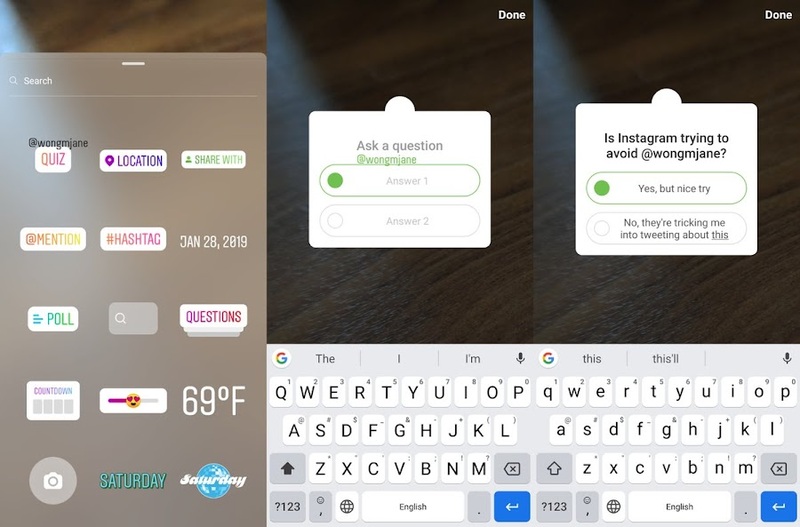 Instagram is about to launch a Quiz Sticker option to be used in stories, which is expected to increase engagement with the followers. It was first noticed last year in September, but recently Jane Manchun Wong, a code hacker spotted it on Instagram. By providing quiz sticker in stories, Instagram has given brands an opportunity to engage with their users more. It can let you introduce your new products with excitement, gather feedback and even tell and aware about your product through an interesting quiz. Facebook long along claimed that Stories are going to be the upcoming strong way of social sharing. Around 500 million people use Instagram Stories daily, which gives business marketers a great chance to get the attention of users. It is followed by Whatsapp Stories of 450 million users in a day, then comes Facebook Stories and Snapchat. With time, more engagement tools are being introduced, like quiz stickers, direct replies, and others to ensure the connection of buyer and user. Businesses should make the best of it by creating ways to engage more and get an instant response. Stories seem to be a big deal as all platforms are either working on it or planning to.